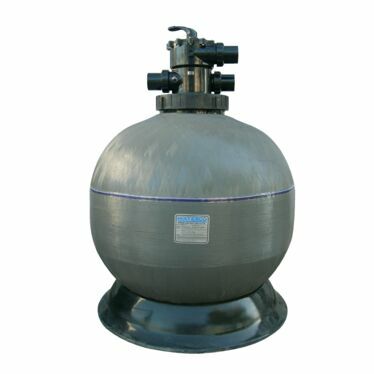 Around the world fiberglass pressure tanks are rapidly replacing steel tanks in myriad commercial and industrial applications. 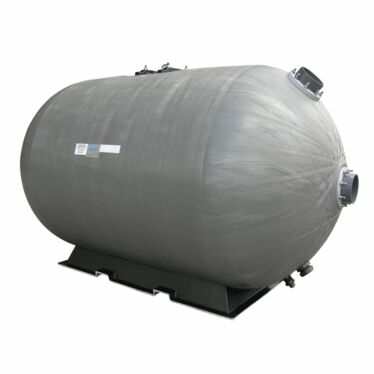 Durability: Fibreglass vessels have a mechanical and chemical resistance superior to steel, plus fibreglass does not rust or corrode and is able to withstand damage from many types of water treatment chemicals. Additionally, they do not leave any unsightly stains. 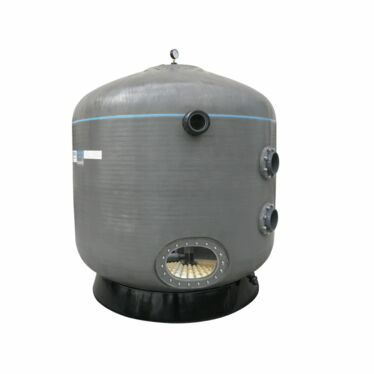 Waterco produces a range of fibreglass filters: Micron fibreglass-wound filter vessels (available in top and side mount); and Hydron fibreglass gel coated vessels (available as a split tank, which are ideal for installations with challenging environments). 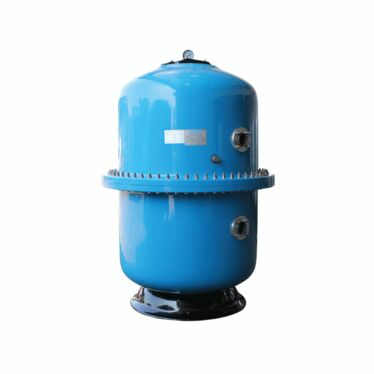 Waterco’s fibreglass wound filters are available up to 2.5m in diameter and are made using the latest available filament winding machine.This machine faultlessly winds continuous strands of high quality fibreglass filament under controlled tension, creating a seamless one-piece vessel with refined consistency and superior quality. 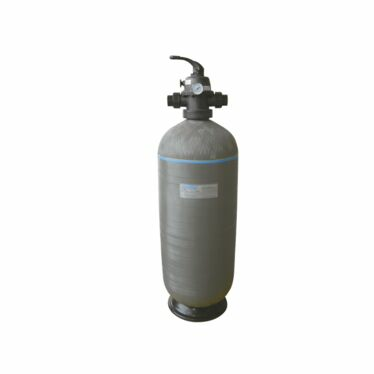 Fibreglass winding further strengthens the filter vessel structure so it can withstand a working pressure of up to 800kPa (116psi). 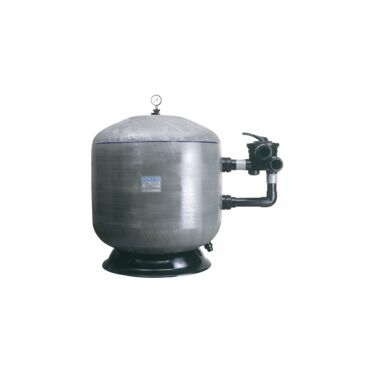 In addition, Waterco’s proprietary technology and advanced manufacturing capabilities have enabled it to incorporate sight glasses and large manholes into high pressure filters. Generally, large manholes and sight glasses are harder to incorporate in high pressure filters, because any opening in a vessel creates a potential weak point or complicated the manufacturing process. However, Waterco undertook significant research and development and its fibreglass engineers specially designed the openings to suit. 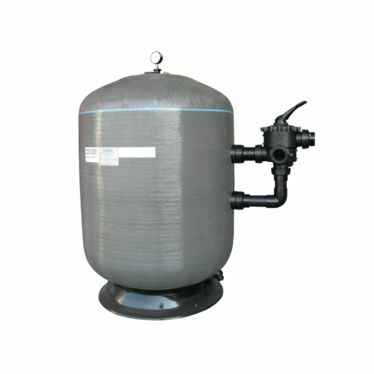 Waterco’s capacity for manufacturing a wide range of standard equipment, as well its capability of adapting the product to customer’s specifications has made its Micron and Hydron fibreglass vessels suitable for water theme parks, commercial swimming pools, hotel/resort pools, aquaculture, cooling towers, drinking water systems, food/beverage processing, industrial process, water features, zoos and aquariums. Waterco’s Micron vertical filters are either fitted with its patented ‘fish bone’ laterals system or the patented plate and nozzle system. These systems provide uniform flow for both filtering and backwashing, ensuring maximum performance through the media bed. Conventional laterals are not suitable for larger sized commercial filters. ‘Dead legs’ exist between the laterals and water flow is not optimised through the filter bed. To overcome this, Waterco’s ‘fish bone’ lateral configuration eliminates any ‘dead legs’ by improving water flow distribution through the filter bed. The nozzle plate system also allows the introduction of pressurised air directly into the bottom of the filter media. Uniform introduction of air and water through the nozzle plate provides vigorous agitation and filter media bed expansion required for an effective air/water backwash leading to reduced backwashing times and reduced volumes of water. Save up to 25% of backwash water. Waterco has vastly improved the hydraulic efficiency its Micron horizontal filter lateral system by looping its horizontal filter’s distributors and laterals. The looped lateral systems reduce backwash run times, save water and produce a flatter, more uniform filter media bed after backwashing. Conventional horizontal filter lateral systems consist of straight piping fitted with laterals along the length of the horizontal filter. A conventional lateral system results in uneven fluidisation of the filter media bed. The beginning of the lateral system experiences a strong flow of water, which gradually decreases along the length of the lateral piping. Backwash flow also decreases towards the end of each lateral, resulting in non-uniform lifting of the filter media bed. The new lateral configuration provides a more natural flow of water through the filter and ensures optimum water filtration and balanced fluidisation of the filter bed during backwashing. Its individual laterals are shortened while maintaining filter media bed coverage, reducing the friction head loss of each lateral, further improving the filter’s hydraulic efficiency.